When Liverpool welcomed Chelsea to the Anfield on Sunday, the Merseyside team had dropped down to second place in the league. Manchester City's win away at Crystal Palace propelled the reigning champions to the top of the table. With 5 games left to play, City were a point ahead of Liverpool and also had a goal difference of 64 compared to Liverpool's 55. As such, Klopp knew that the only way he could pile the pressure on City was with a win against Chelsea. However, it was not going to be easy. The Blues were themselves fighting for the Champions League spots and were unsettled at 4th before the game. A win for Sarri would strengthen their position and give them a huge advantage in securing Champions League football next season. Klopp named his team accordingly, going with Alisson at goal and Alexander-Arnold, Matip, van Dijk and Robertson as the back four. The midfield comprised of Henderson, Fabinho and Keita, while the familiar front three of Salah, Firmino and Mane continued to lead the charge. Liverpool started the game on a ferocious pace and came close to scoring on two occasions. Chelsea held on and even carved out a few chances of their own. But in the 51st minute, Mane gave the home side the lead. 2 minutes later, Salah scored the second of the game and sealed three points for Liverpool. Klopp will be extremely happy with his team's overall performance, but he will be extra pleased with the performance of these 5 men, who won Liverpool the game. The Liverpool Skipper had a lot of pressure on his mind, as he drilled his team and kept them charged up throughout the evening. Henderson made important decisions in the middle of the park and was always around to help Fabinho deal with the Chelsea attack. With the ball at his feet, the Englishman was precise with his passes and continuously sprayed long balls to put pressure on the Chelsea backline. Henderson was full of running and worked selflessly hard to ensure Liverpool maintained the momentum. 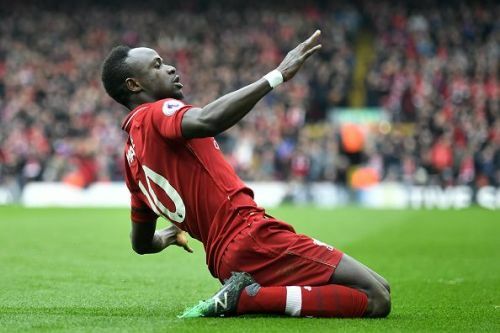 And he also gave his team the break through when he ghosted into the box in the 51st minute and sent in an intelligent chip to find Mane, who scored. 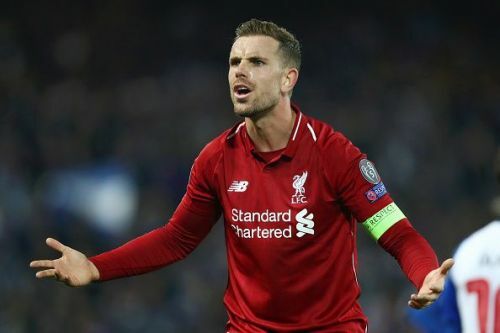 When he was replaced by Milner in the 77th minute, Henderson had played an important role to ensure Liverpool won the game.